So if you know me, read my blog or follow me on any form of social media you will know that I am fully, 100%, quite worryingly ADDICTED to Asos. I don't mean "Ooh they sell such nice clothes" I mean full blown, Asos A list, everyday, I have no money but I don't care obsessed. Ever since my first order in 2010 I haven't stopped obsessing over new arrivals every single day. I have no saved a penny in my life because I would rather spend it on Asos...and I'm not even ashamed. 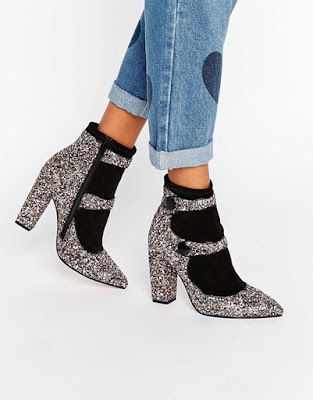 Asos is the place to go for clothes that stand out from the crowd (don't get me wrong its the best place to go for brands too if you have premier...free delivery hello!) but Asos own clothing is some of my favourite...EVER. 15 times our favourite Netflix shows have summed up life. Everyone loves a Netflix and chill (and I mean a literal Netflix and chill) so much so we can all relate to how some of our favourite shows just reflect life. 1. When you're in work and a customer clicks their fingers at you to get you're attention. 3. When you find out that someone copied your outfit when they promised you they wouldn't buy it if you told them where they're from. 4. When you've stalked someone on social media so hard you know when they're lying to you. 5. When you see your crush and try and act cool. 6. When someone asks you what you want to do when you're grown up but you're a goddam ADULT. 7. When you try to make chit chat and the other person suddenly won't stop talking. 8. What you say in you're head when someone starts talking about contouring and you struggle just to fill your eyebrows in properly.